Black Tea Increases Metabolism:Tea can accelerate weight loss by boosting the body's metabolism. At the same time, it also blocks the fattening effects of carbohydrates. This is especially true of Oolong tea. Both black tea and Oolong tea are derived from the same plant, Camellia sinensis. With black tea, the leaves are left to oxidize after they are picked. With Oolong tea, the leaves are wilted in the sun and then "bruised" to expose the juice to the air, where partial oxidation is allowed to take place before being fully dried. Soothing Stress:People under stress often snack on unhealthy, fattening processed foods, which are high in calories. A study by UCL (the University College London) published in the journal Psychopharmacology found that people who drank tea de-stressed more quickly. Also, the study found that those who drank black tea four to six times a week had lower levels of the stress hormone cortisol in their blood stream after a stressful event. Therefore, drinking black tea may indirectly help prevent weight gain by enabling the body to recover from stress faster, preventing binge eating. Black Tea Detoxifies:Another way drinking black tea may help with weight loss is by its ability to detoxify the body of harmful chemicals. John Weisburger, Ph.D., senior researcher at the Institute for Cancer Prevention, says, "I was the first American researcher to show that tea modifies the metabolism to detoxify harmful chemicals." He drinks 10 cups a day. The polyphenols, which are a type of antioxidant, search for "free radicals" and detoxify them. Black tea has eight to 10 times the polyphenols found in fruits and vegetables. The Unknown Ingredient:One particular ingredient has not yet been identified with black tea's ability to aid in weight loss. Patients have lost weight when black tea consumption was used in combination with other nutritional supplements. It is not yet understood exactly how black tea alone, or in what specific combination with other supplements, gives it the ability to help with weight loss, but there is ample evidence for its benefit. Tea contains caffeine, catechins, polyphenols, flavonoids and amino acids. These ingredients are known to have effects on neurotransmitters in the brain. Wulong tea, or oolong tea, is a traditional Chinese tea known for its fat-burning effects. Wulong tea is similar to green tea in its health benefits, but it undergoes oxidation and is more brown in color. Wulong tea differs from green tea by having a more woody or flowery taste because of this oxidation. Wulong tea comes from the Camellia sinensis tea plant, as all true teas do. Between green tea and black tea, Wu long tea leaves are semi-oxidized and undergo 10 to 70 percent fermentation. Similar to green tea, Wulong tea provides many health benefits including improved digestion and immunity, fighting heart disorders and bone disease, and prevention of tooth decay. Wulong tea also reverses signs of aging and helps clear acne and improve tone and appearance. Wulong tea is used as a weight-loss supplement, with the benefits considered to be more than double that of green tea. While burning calories, Wulong tea also reduces the fattening effects of carbohydrates when included in a daily diet. The polyphenols in Wulong tea introduce the process of thermogenesis to the body, and the act of heating up helps aid in greater fat oxidation. Wulong tea has been shown to burn more than twice the calories that regular green tea does. Increased metabolism relates to weight loss, and weight maintenance. Energy expenditure (EE) is shown to relate to metabolism, and studies have shown regular consumption of Wulong tea to help increase EE by nearly 3 percent within 90 minutes, and then maintained as long as an additional two hours. Wulong tea would require continued dietary consumption in order to help maintain weight-loss results and increased energy and metabolism. The Chinese have a simple way to lose weight naturally and easily that they have used for hundreds of years. Drink Pu-er Tea. Also known as Pu-er, Pu-Er, Puer, Puerh or Pu-erh this Chinese tea has been used throughout the centuries for medicinal purposes including reduce cholesterol, reduce blood pressure, heart, liver, kidney and other disease related to saturated fat. Pu-er Tea has been known to help prevent intestinal infection, digestive problems and constipation. The antioxidants found in Pu-er Tea also help prevent the formation of cancer cells. Chinese Pu-er Tea is a natural way to lose weight easily. The antioxidants, caffeine, and other minerals in Pu-er have been found to suppress fatty acid synthase. In other words the saturated fats do not cause as much weight gain in people who drink Pu-er Tea regularly. To Easily lose weight naturally drink 3-4 cups of Pu-Er Tea daily. It is best to drink after each meal especially lunch and dinner. For optimal health benefits include Pu-er Tea as a major part of your regular diet. Diet is not a temporary choice it is a lifestyle. 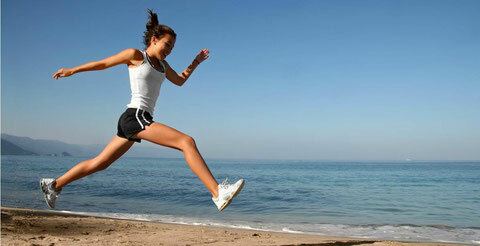 A healthy lifestyle includes eating healthy, drinking healthy, regular exercise, fresh air and sleep. 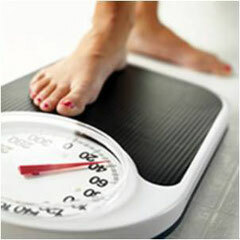 all these factors can help you easily lose weight naturally.